Back in January 2016, the boss of Google X’s Project Wing, David Vos, said that his team would have fully-functional delivery drones ready in as soon as one year. Well, that didn’t happen. It’s been over a year, and there aren’t any delivery drones flying around in public (apparently, that’s part of the reason why Vos got fired). And it probably won’t happen next year, either. According to a study published by Gartner in December 2016, delivery drones are still a long while away from mainstream use. Gartner also predicts that when delivery drones finally are released, they’ll only be available for business-to-business purposes at first, so regular Joe consumers will have to wait even longer. That’s too bad, because 40% of consumers expect online retailers to start using delivery drones in the next two years. They’re probably going to be disappointed. There are many things getting the way of delivery drones becoming a reality in the near future. Federal regulations regarding delivery drones are still up in the air, and there are technical challenges that prevent drones from being cost-effective investments for delivery businesses. Let’s go over these obstacles in a little more detail, shall we? All businesses that plan to fly drones in the US need to get permission from the FAA. Right now, that’s a huge hurdle. You don’t have to take our word for it – Amazon CEO Jeff Bezos has cited “the regulatory side”, as opposed to “technical problems”, as the biggest issue facing Amazon’s Prime Air delivery drones. Amazon, Google, and other companies are currently testing delivery drones, but getting approved for testing is much easier than getting approved for regular use. That’s still a long way away. Distance isn’t a problem with cars. As long as you keep putting gas in it, a car can take you wherever you want to go. That’s not the case with drones. They can only go so far before they need to be charged up again. So delivery drones only make sense for businesses that have all their customers relatively close by. Until the technology improves, businesses in rural areas won’t have much use for delivery drones. The economics of final mile drone delivery are determined by drop size (the number of parcels dropped off per stop) and route density (the number of drop-offs made per route). For an investment in delivery drones to make business sense, you need to be able to make many deliveries in a short period of time. But that’s not really possible right now. FAA regulations limit drones to payloads of 55 pounds or less. Many small and medium-sized businesses don’t have the resources to buy more than one drone, which means their drone would have to constantly make its way back to home base to pick up more packages. Single orders that weigh more than 55 pounds would have to be split into multiple shipments. This restricts drop size and route density so much so that, for most businesses, delivery drones just aren’t economically feasible. Another good thing about cars is that they’re pretty durable. Drivers have to be careful when it’s raining, but the rain isn’t going to wash the car away. You can still make deliveries in bad weather. The rain can slow you down, though. Using a route planner will help you account for that. 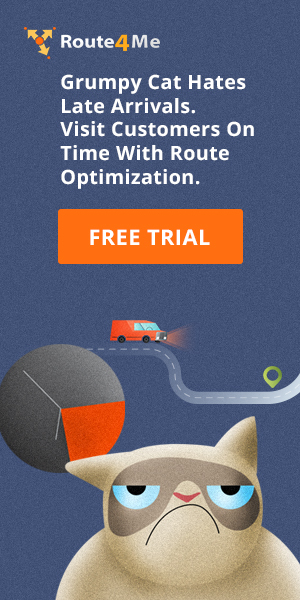 Route4Me’s Predictive Weather Route Optimization™ feature automatically factors in the current weather in your area while planning routes, so you can give your customers accurate ETAs no matter what the weather is like. Drones aren’t as durable as cars. They don’t work in heavy rain or snow. They shouldn’t be used when it’s particularly windy, either. Why invest in something that you can’t even use all the time? You have vehicles that are able to operate in any kind of weather already. They’re called cars. In that respect, delivery drones are a downgrade. When you send a driver out to make a delivery, you have someone that can confirm for you that the delivery was made. An unmanned drone can’t do this for you. If a customer says that a package was late or that it never arrived, you’ll just have to take their word for it. The vast majority of your customers are good, honest people of course, but there are some scammers out there. These deplorable people will receive a package, say they never received it, and then try to collect a refund. They want to have their cake and eat it too. A drone can’t stop that from happening. 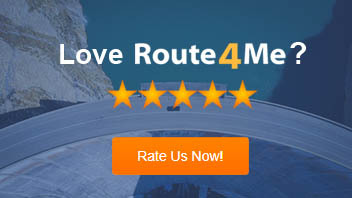 Route4Me’s final mile optimization software makes it even easier to settle such disputes. We have an eSignature feature that allows your customers to sign for deliveries on your drivers’ smartphones. That way, you don’t need to keep track of a bunch of easy-to-lose paper slips to prove that your drivers made deliveries where and when they said they made deliveries. 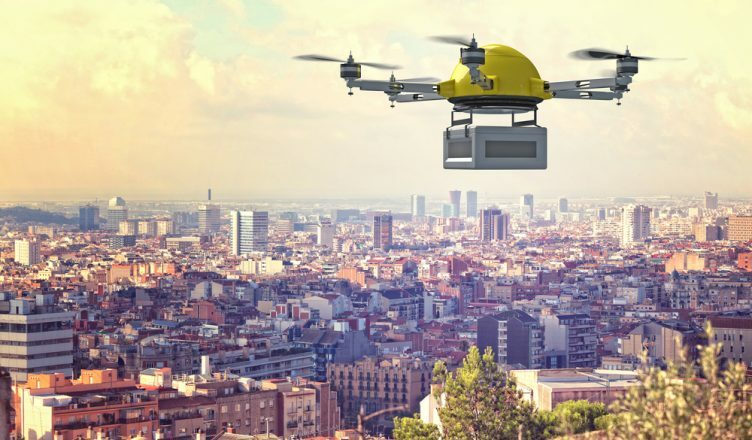 According to Johns Hopkins University, it’s pretty easy to hack delivery drones. Someone could steal your payload this way. And what if someone takes control of your drone and it ends up crashing into a crowd of people? You don’t want to be responsible for someone getting hurt. When you use a car to make a delivery instead of a drone, you don’t need to worry about getting hacked and losing control. Everyone knows how to drive a car. But how many people know how to drive a drone? Controlling a drone safely and effectively requires a highly-skilled operator. There aren’t too many of those around. Even if you could find a qualified drone operator, another problem you’ll run into is the lack of maintenance shops that know how to repair drones. Drones are new technology. You’ll need to find a specialist if your drone ever breaks down, and getting it fixed won’t be cheap. So, what do you think about the future of delivery drones? Let us know in the comments section below.